My last post about this topic was a bit brief and perhaps some concepts didn’t remain clear. So here you have, this is part II. Hope you enjoy it! – A look at the repository where the code of one-click-deployment with libGDX is. – Learn how to distribute our package anywhere. For the impatient people here is the repository with a sample project. logger.info "Incrementing major project version: $currentVersion -> $newVersion"
logger.info "Incrementing minor project version: $currentVersion -> $newVersion"
logger.info "Incrementing patch project version: $currentVersion -> $newVersion"
logger.info "Incrementing build project version: $currentVersion -> $newVersion"
Next we configure individual tasks for android/build.gradle. Next you insert a dependency before `preReleaseBuild` to auto-increment build version with each build. Now’s the turn of ios/build.gradle. Open this and modify createIPA task so it depends on an update of robovm.properties. As we shall see below, `updateRoboVMProperties` task will update `app.version` and `app.build`. Lack of resources is a major problem that faces any indie studio. Packaging and distributing tasks only need a commandline so we’ll configurate our MAC to access remotely by SSH from any system, including your phone for an emergency. There are hundreds of tutorials on how to do this. Here’s an example. I’m just giving an example of the potential for our approach. IMPORTANT: Testers with tethered phones can’t work with testflight. An alternative is distribute our *.ipa with an a cloud storage service and they install using iFunbox. Finally we’ll see a plugin for Unity3D includes all of the above except uploading to testflight and testfairy… but you can reuse this. The project of plugin is hosted HERE. 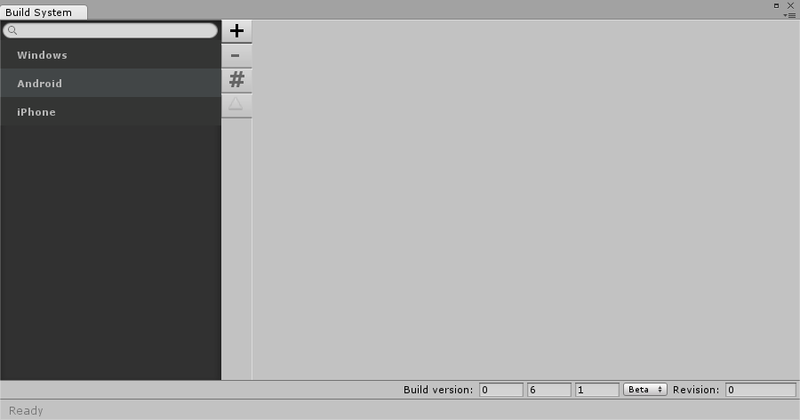 You can define pre/post build steps, like auto incrementing the version (also you can do it manually). When you are prepared to generate a new version press `Run selected builds` button and the system takes over again from now on. The only manual step involved is hitting the build button by yourself for each platform. This is a restriction of Unity free version. If your are in pro all process will be automatic. Finally reuse uploading tasks from the first part of this post. Crazy Belts is available on Steam! We are jemchicomac, a game development studio based in Madrid, Spain, and formed by art lovers and videogame enthusiasts. Our core values are building original gameplays and try to bring to the game design process modern things like social and new interaction models.